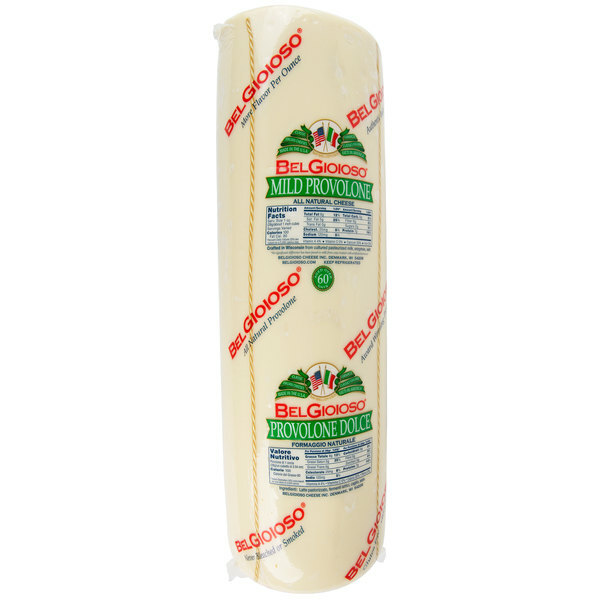 Provide your patrons with a genuine taste of Italy with this BelGioioso mild provolone cheese. 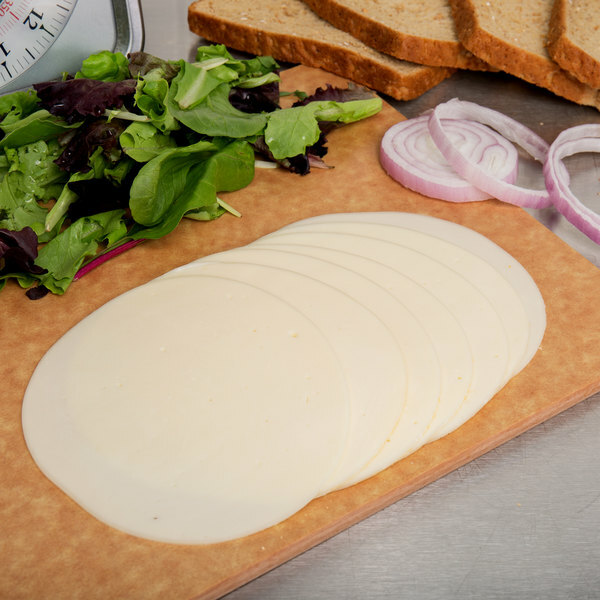 Aged for 2-3 months, this provolone cheese provides a mellow, nutty flavor that will pair well with a variety of hot and cold meals. 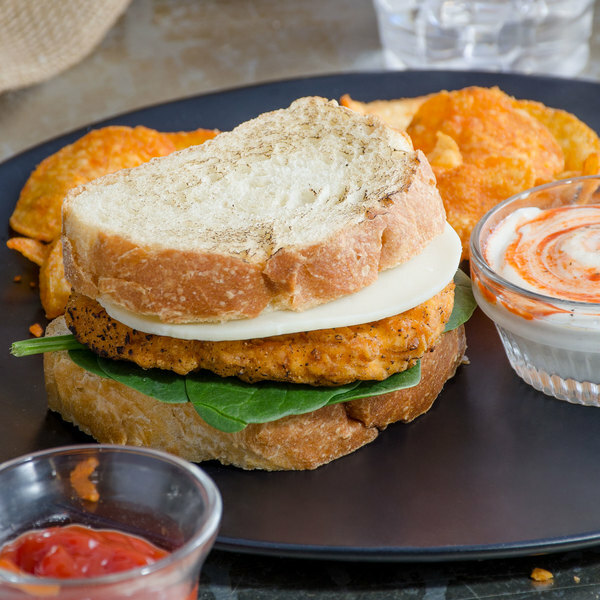 Shred into stuffed shells, lasagna, or any baked pasta dish for extra flavor, melt over burgers, or craft a gourmet turkey, fresh basil pesto, and provolone sandwich. When adding to charcuterie boards or an antipasto platter, pair with cured meats, such as salami, olives, fresh hearty bread, and chardonnay. Made with natural ingredients and rBST-free milk, this cheese is superior in taste and freshness. It comes in a 12 lb. solid log, making it a great option for slicing by the pound at your deli for customers to bring home for their own sandwich creations. Extremely versatile in its application, its semi-hard consistency can be cut into cubes, grated, or sliced thin for sandwiches. It also has great meltability, allowing you to create a variety of unique culinary creations for your menu. Whether it's used as a topping, garnish, or a standalone snack, this provolone cheese is sure to be a crowd pleaser. BelGioioso began in 1979 when founder Errico Auricchio brought his family from Italy to the United States, seeking to craft the best Italian cheeses in the U.S. Bringing two master cheesemakers with him, he settled in Wisconsin, home of the highest quality milk and best cheese in America, and began working tirelessly to craft high-quality, traditional Italian products for consumers. 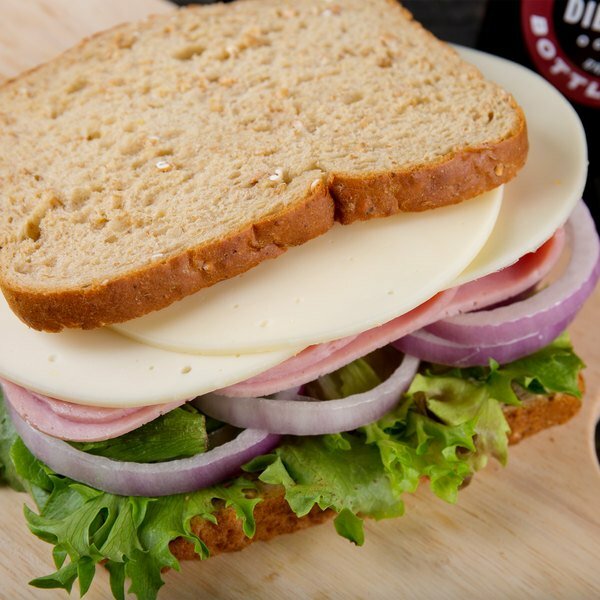 Today, BelGioioso manufactures superior provolone, romano, and parmesan, as well as over 25 varieties of specialty cheeses. With their commitment to tradition and excellence, you can depend on BelGioioso to offer consistently great-tasting, authentic products.